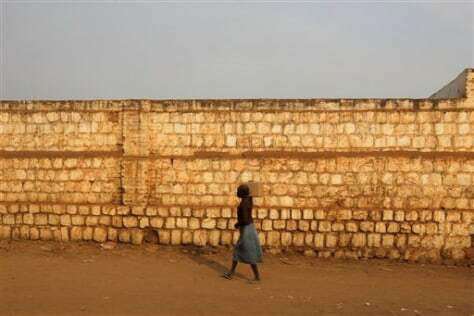 A South Sudanese woman walks along the football stadium in Juba, South Sudan on Jan. 13. Southern Sudan is slated to become the world's newest country after election officials said Monday that more than 98 percent of the ballots were cast for independence. The city of Juba, until recently a war town of mud huts, gets promoted to a capital city. But it will carry little of the sparkle and gravitas of a Paris, Cairo or Washington D.C.